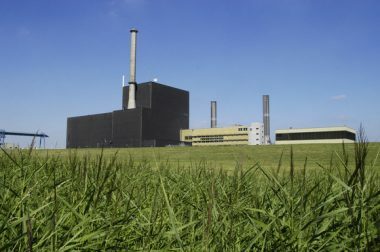 Vattenfall is considering transferring the operation of two German nuclear reactors to EOn in a bid to return the plants to service. Presenting the Swedish energy company's 2010 results, Vattenfall CEO Øystein Løseth said that negotiations with EOn were ongoing but that they could lead to a situation where EOn would take over operation of both Brunsbüttel and Krümmel in a bid to restart them in a timely manner. "If it means that we have to transfer operatorship to EOn to get them started again, then we are willing to do that," he told a press conference and conference call. Krümmel is jointly owned by EOn Kernkraft and Vattenfall, while Vattenfall has a majority stake and EOn a one-third stake in Brunsbüttel. The two boiling water reactors have capacities of 1260 MWe and 771 MWe respectively, but have been out of service since 2007. Changes to German energy laws in 2010, with a decision to extend the lifetime of existing nuclear power plants, have made re-starting the two reactors an attractive proposition: Krümmel would be able to operate for a further 14 years and Brunsbüttel for eight. In December 2010 Vattenfall and EOn said they were reviewing operations at the plants with the aim of bringing them back into service. Løseth said that those negotiations were still ongoing, but that a decision on whether EOn would take over operational responsibility for both units would be made in the first half of 2011. No decision on restarting the units would be made until an agreement on operation had been reached, he said. In answer to questions, Løseth said that a transfer of operational responsibility would have no financial implications, nor was there any intention to reduce Vattenfall's share in the plants. The tax imposed on nuclear fuel by Germany at the same time as the agreement to allow reactors to continue operating will mean extra costs of some €165 million ($223 million) a year for Vattenfall, according to Løseth.